Few hobbies, if any, can boast of such a varied and extensive literature as stamp collecting. 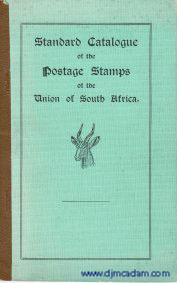 Extensive works have been published on the postal issues of most countries. They have been published in English, French, German, Italian, Spanish, Dutch, Danish, and Swedish. Those published in English alone would make a library of some hundreds of volumes. Bear in mind that Nankivell wrote those words in 1902; thus, the hundreds of volumes he refers to can now be changed to thousands, and probably tens of thousands. Works on philately of a general nature. Stamp Collecting as a Pastime is an example of such a work; it's a pleasant read, even though dated. L. N. Williams' excellent Fundamentals of Philately also fits into this category, and would repay study by virtually any collector who seeks to deepen his understanding of philatelic matters. Works of philately of a specialized nature. John Heath and Doug Stout's Mexico - The 1868 Issue: A Specialist Handbook fits nicely into this category. It's a very handy work for the person who collects classic stamps of Mexico, but would offer little to anyone else. Catalogues and related reference works. Scott's Catalogue goes here, as do a myriad of others; Stanley Gibbons, Michel, Yvert & Tellier, etc. Periodicals, which can be further subdivided into general and specialized areas. Valuing philatelic literature is by no means easy. Popular works like that of Nankivell can be found for a few dollars in good used condition, and most (not all) outdated Scott catalogues are virtually worthless. But Sir John Wilson's The Royal Philatelic Collection, published in 1952 by Dropmore Press in London, is currently selling for around one thousand dollars a copy. At any rate, philatelic literature is an interesting area of collecting, and there are many volumes in the field that will, in addition to being a valuable resource for you, impress your collecting friends when they see them upon your bookshelves. Happy hunting!